I was concerned we might face a long line to get in to the new Starbucks Roastery on Capitol Hill. As Tina had counseled, that was likely a feature of the holiday season and she was right. 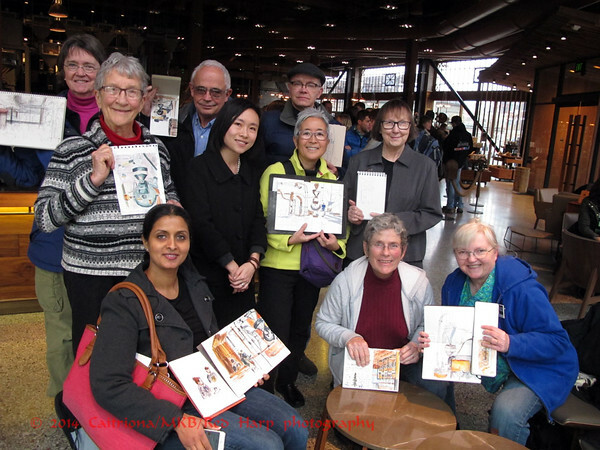 There was very little line when I arrived for the Friday Sketchers ad hoc outing. 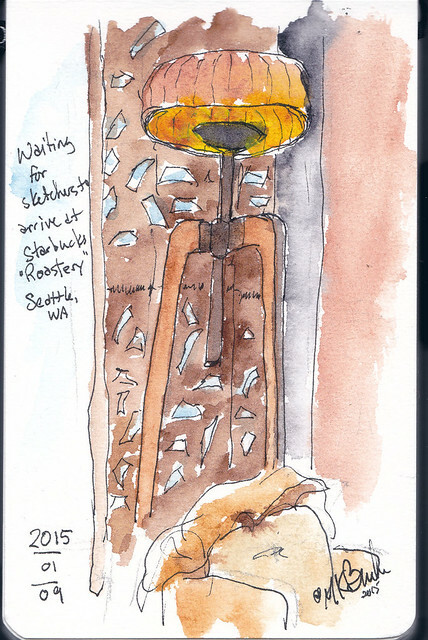 I positioned myself near the door to greet the arriving sketchers. There were at least three new people! Welcome to Audree, Xi and Jayahrea!! 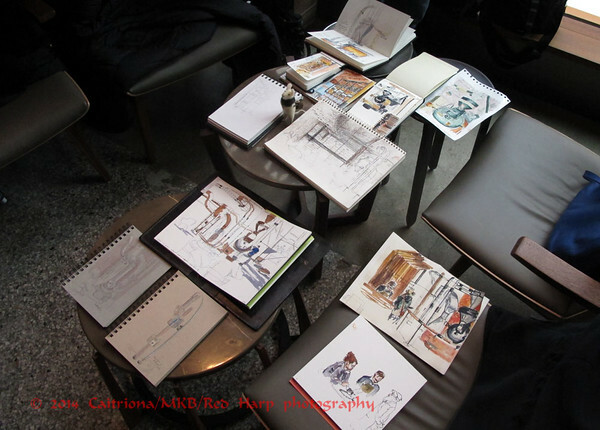 While sitting there, I used the waiting time to sketch the artistically styled lamp. Everything in this store has been given the utmost attention to artistic detail. 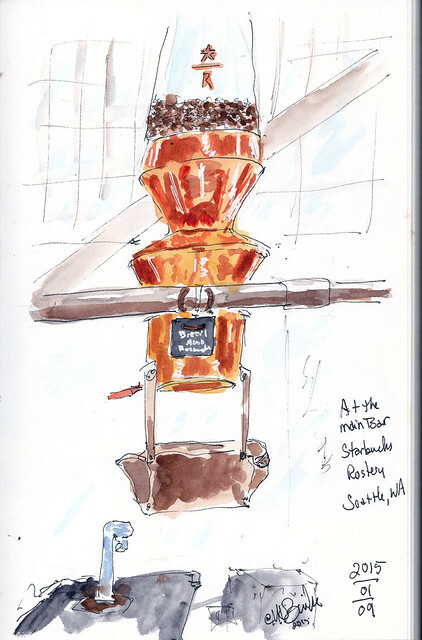 Once warmed up, I took on the larger view of the small batch roaster. 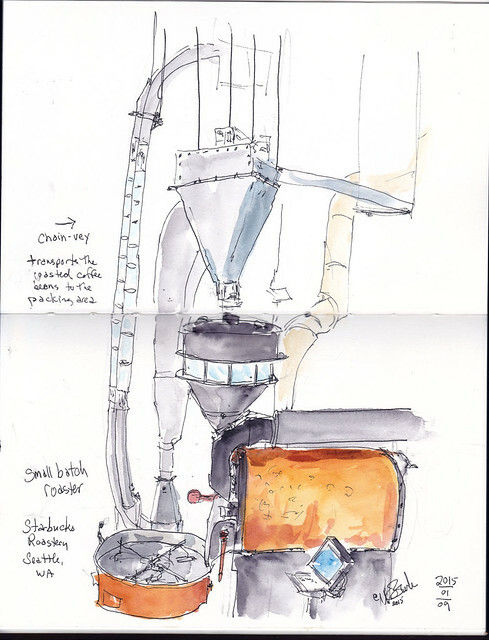 Though it's called "small batch" it is the largest roaster in this building. We were noticed. 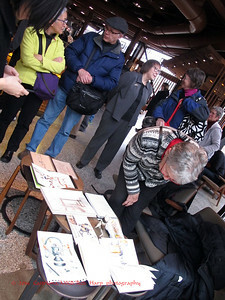 Customers came up to see the sketches. Staff stopped to talk. I had a fun time! Cool I wish I could have been there. Looks like you all had fun!